Crossing geographic and cultural boundaries at a time when much of the world remained uncharted was a challenge faced by ancient explorers. Long before the Golden Age of Exploration, an assortment of travelers ventured into the unknown, uncovering untapped riches of land and resources in the process. 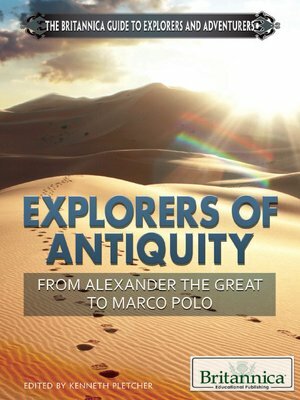 Readers will become familiar with the lives and journeys of these early explorers, whose number included dauntless leaders—Alexander the Great, Julius Caesar, and Genghis Khan—who sought to establish vast empires and enterprising merchants such as Marco Polo.